India’s corruption problem is getting worse. At least that is what the population of India believe, according to a recent Gallup poll. 47% of those questioned believed that corruption had got worse in the last five years. The figures are probably accurate and there has been a spotlight on corruption in India in recent months. Several high profile cases have highlighted corruption at the highest level within business and politicians leading to dissatisfaction and protests. In April last year there were widespread protests against the feeble Lokpal Bill. It was only popular support for Anna Hazare’s hunger strike that saw the government cave in and redraft their bill. The protests show that ordinary Indians are aware of the fact that corruption has become so widespread in their country that it is holding back progress. Such a richly talented country should be moving faster up the international scale to prosperity and good living standards for all. But corruption - and its bedfellow, unemployment – holds the country back. The protests against the Lopak Bill, and others, show that there is hope for India. Ordinary people are giving voice to their frustration with corruption in government and business. When power is at stake, politicians listen. 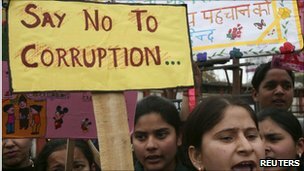 In response to a Gallup poll conducted in 2010, 78% of Indians said corruption is widespread within the Indian government, and 71% said it is widespread within businesses in India. Other countries, which have managed to all but stamp out their own corrupt practices years ago, are reluctant to deal with countries which have not followed suit. They are uncomfortable with it. There is a sense that the corruption is archaic and not expected of a country wishing to compete for business on a world scale in the present day. Lack of investment in India means slower economic growth, leading to unemployment and lower standards of living for everyone, including those at the bottom of the pile. Corruption hurts the poorest in society, and yet it is often perpetrated by those at the top of the ladder financially who can afford to get caught and then buy convicted drivers insurance. For example, the planners of the Commonwealth Games stole billions of pounds during the course of their tenure. The games cost $4.1bn (£2.5bn) instead of the $270m (£166m)which had been the initial estimate, and the revenue was only $38m (£23m). 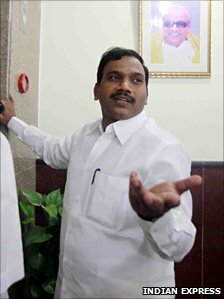 Then there was India’s greatest scandal, the Indian Telecoms Minister, Andimuthu Raja, who was jailed for corruption after robbing the Indian people of an estimated $40bn (£24.5bn), in lost revenue. In November last year, a report claimed that nearly half the iron ore exported from the western state of Goa was illegally mined. Figures from the mining scandals unearthed in Karnataka are eye-watering - the scam cost the exchequer more than $3bn (£1.8bn) between 2006 and 2010, and led to the resignation of opposition leader BS Yeddyurappa. Mining has lost the government many millions in revenue, with a leaked report suggesting that between 2004 and 2010 the exchequer lost approximately $210 billion through selling coalfields to companies without the safeguard of competitive bidding. How are we to respond to theft on this scale? A prison term does not bring the money back, nor does it correct the wider issue of endemic corruption. What is needed is reform, and vigilance by government agencies, who themselves are held to the very highest standards. Responsible civil servant and government jobs should be held only by those of the highest character, who must lose their jobs should they accept bribes, or turn a blind eye to corruption. Again, it is only the people of the country who can effect change within it. If the government listened during the Hazare hunger strike, then they will listen again. Mass protests are needed when large scale corruption occurs, and not just for one day. When those in power see the strength of feeling amongst their countrymen towards those who are keeping them in poverty and out of work, they will start to fear losing support at the polls. Peaceful mass protest has changed many things that are wrong in the world. It is time the Indian people stood up to corruption, on behalf of the weakest in society, and challenged the government to stand firm, be vigilant and keep their own house in order. Truly said, now a days every person who have some power don't do your work at free cost. If you want that your work has to be done in timely manner, then you have to give him some money and then he start to do your work rapidly. postingan yang bagus tentang"" A nation's culture resides in the hearts and in the soul of its people. "-Mahatama Gandhi"